Bredase Kaarsenfabriek B.V is one of the few companies that still produces candle lamps. These candles are being created with three different special pieces of machinery. 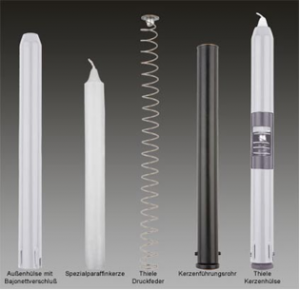 Our candle lamps distinguish themselves with the high norm of quality that we comply with. The candles consist of a paraffine percentage of 100 with the highest melting point. The combination of these characteristics with the correct fuse result in the perfect candle. These candles are available in candle lamp thick, candle lamp thin and the Bepri candles (also known as spring candles). 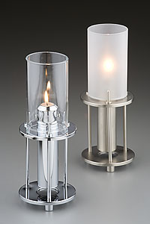 Candle lamps are candles that are placed in metal casing and are being pressed up with a spring. These metal casing are being placed inside a lamp. This also explains the term candle lamps.